Friends Memes That Are Relatable To Our Everyday Life! Friends is one of the biggest sitcoms of all times with 10 seasons! The show has managed to give us one of the most iconic scenes and very relate-able content, there is nothing not to like in the show! Scroll down to Laugh out Loud! The one were you get friend-zoned! Well, it’s the worst zone to be in. Thank You is amongst the worst friend-zoning words in the history of friend-zone. The one where you don’t care! 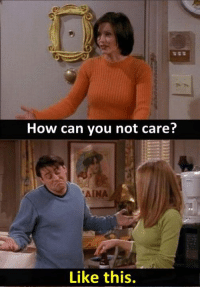 Sometimes, we just have to not care and who better than Joey to learn it from! 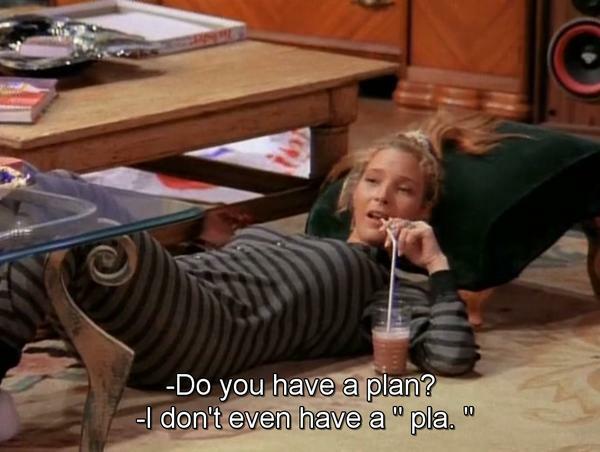 The one with a great weekend plan! One of those lazy days when laying around is the best activity to indulge in. The one where Kylie stole Lipstick shade from Joey! Not Fair Kyle! Joey doesn’t share his food or his lipstick shades! The one where we just can’t take it anymore! When someone reminds you of all of the things we should be doing instead of just lazing around! Pajamas are the ultimate Best friends on weekends. You can not get out of them! When life’s mess with so much to handle sit back and drink away! There’s nothing that a glass of margarita cannot fix!